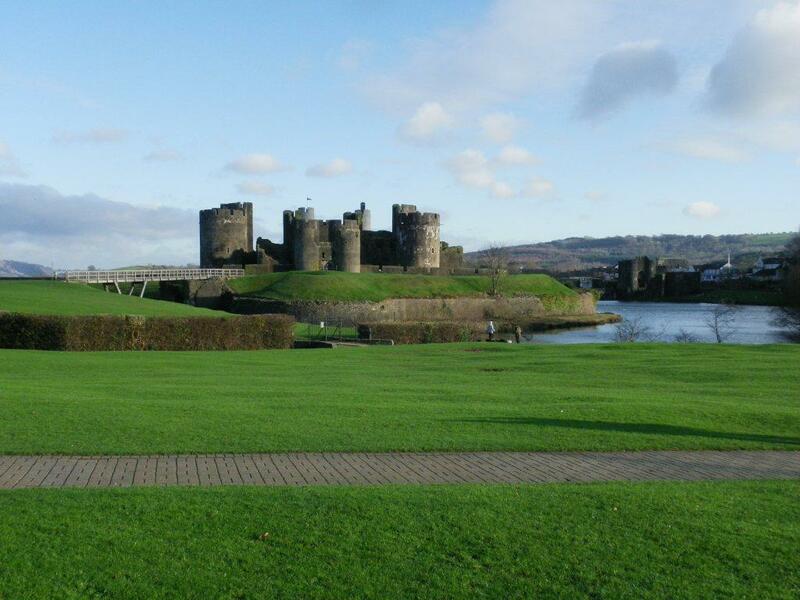 Caerphilly Castle is one of the greatest medieval castles of western Europe. Several factors give it this pre-eminence: its immense size (1.2 hectares), makes this the largest Castle in Britain after Windsor. Also its large-scale use of water for defence - note the substantial moat all around it. Caerphilly Castle is the first truly concentric castle in Britain. At the time it was built, in the late 13th century, it was a revolutionary masterpiece of military planning. One of Henry III's most powerful and ambitious barons, Gilbert de Clare, the Lord of Glamorgan, built Caerphilly castle. Gilbert de Clare's objective was to secure the area and prevent lowland south Wales from falling into the hands of the Welsh leader Llywelyn the Last. Llywelyn controlled most of mid and north Wales. De Clare built other castles on the northern fringes of his territory for the same purpose. He had seized the upland district of Senghenydd, in which Caerphilly lies, from the Welsh in 1266 to act as a buffer against Llywelyn's southward ambitions. Llywelyn tried but failed to prevent the castle from being built. Works commenced 11 April 1268, were delayed when attacked by Llywelyn in 1270, and resumed in 1271. Llywelyn subsequently retreated northwards. Apart from the remodelling of the great hall and other domestic works in 1322-6 for Hugh le Despenser, no alterations were ever carried out, making Caerphilly Castle a very pure example of late 13th-century military architecture.